Ships from and sold by Nano japan. 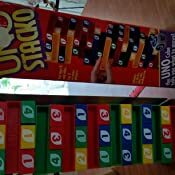 Uno Stacko combines the skill of stacking with the fun of UNO. 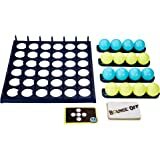 Pull out a block by color, number or command, then follow the command on the tile. It's great entertainment for the entire family! for two or more players. IN NO EVENT, REGARDLESS OF CAUSE, SHALL Seller (mcelhit) BE LIABLE FOR ANY INDIRECT, SPECIAL, INCIDENTAL, PUNITIVE OR CONSEQUENTIAL DAMAGES OF ANY KIND AS A RESULT OF THIS PRODUCT, WHETHER ARISING UNDER BREACH OF CONTRACT, TORT (INCLUDING NEGLIGENCE), STRICT LIABILITY OR OTHERWISE, AND WHETHER BASED ON THIS AGREEMENT OR OTHERWISE, EVEN IF ADVISED OF THE POSSIBILITY OF SUCH DAMAGES. 5.0 out of 5 starsBring it back! 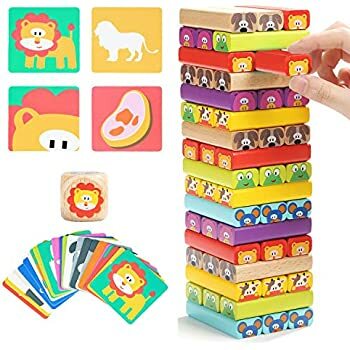 Idk if it is just the seller I went through (DorisHenry), but I recieved a version of the game unlike the one in the picture, and it was incomplete. 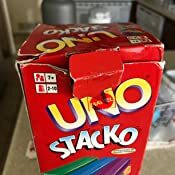 The version I got does not have all the right blocks (Missing any Wild, Draw 2, Skip an Reverse Blocks) and it says on the box and in the rules that I need an UNO Cube, which looks like a dice with 1,2,3 and 4 in different colors, as well as skip and reverse on it, however, the game I recieved was used and didn't even come with the dice. 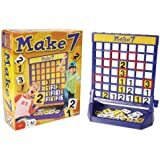 So not only did I get the wrong Item, but It was incomplete and essentially unplayable, which is especially annoying because I bought it as a birthday present for a nostalgic family member. The game came with several important things missing, including the instructions. 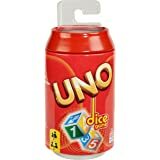 Looking the rules up online would be fine, but it also arrived without the Uno Cube (think dice), which is necessary in order to play the game at all. 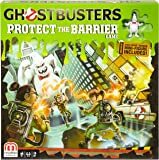 4.0 out of 5 starsFun twist to the original game! 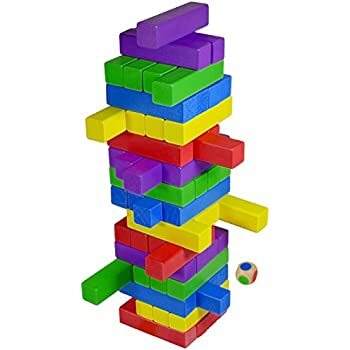 2) there's very little weight to the blocks. 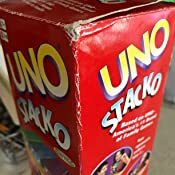 So that means not only do rules change from the original game, but the feel is different as well. 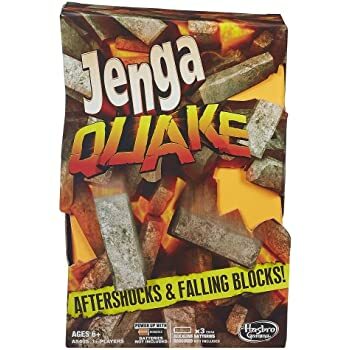 Still a must-have in every basement / game room! 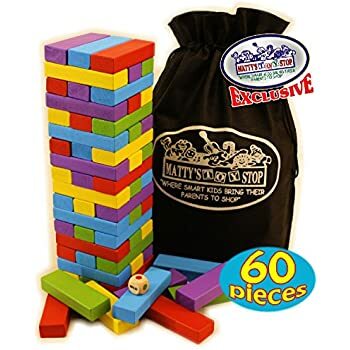 Quality is good.The plastic blocks slide out smoothly. 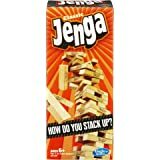 Used this game for for a fun way to answer questions in a classroom setting of 10 year olds. I did not realize when purchasing that writing and instructions were in Chinese. Didn't matter for my purposes. I choose this rating because I thought it was a fun game. 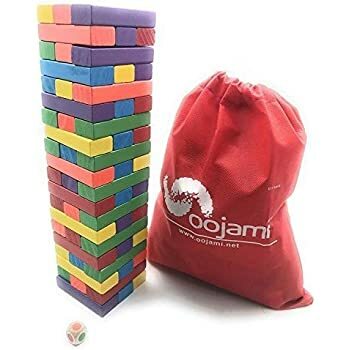 I was visiting my sister and her family and one of her friends had brought over JENGA, which I always found challenging and fun. 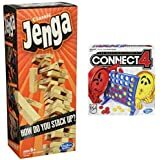 Then her friend asked if we would like to play a combination on JENGA and UNO. 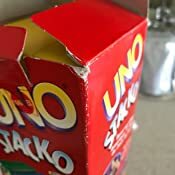 We said sure and she brought in UNO Stacko. Although I don't play it as often any more, I still can"t get enough of it. 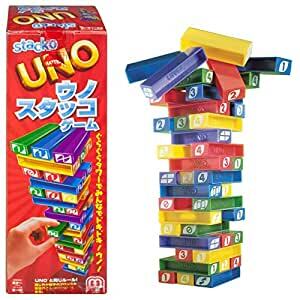 It's even more of a challenge than JENGA because it's played with UNO rules.I really like this game and would recommend it to everyone.